I have a little weakness for chairs. Vintage chairs. In their original upholstery. I wouldn’t consider myself a clean freak, but it does concern me that I sometimes bring home a 50-year-old chair that could be dirty. 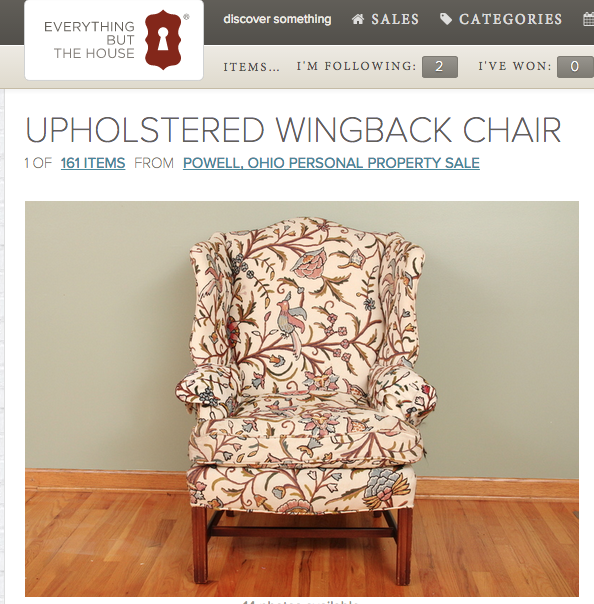 I don’t buy any upholstery from second-hand stores or Goodwill anymore because I am fearful of bedbugs, but I love a good estate sale from a clean home or the Everything But the House (EBTH) online auction site. Even in a “clean” home, there can be loads of dust, pet hair, and/or other allergens in the upholstery. 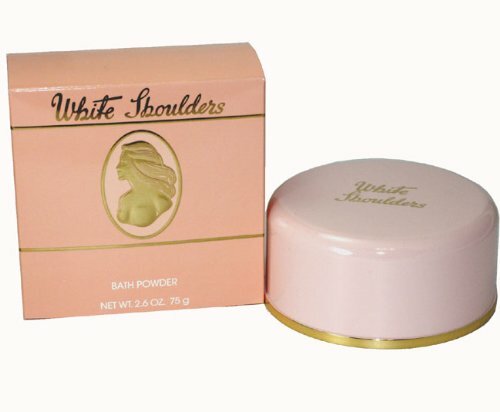 Or like many of the estate sales I go to, everything may smell a little too much like White Shoulders perfume. 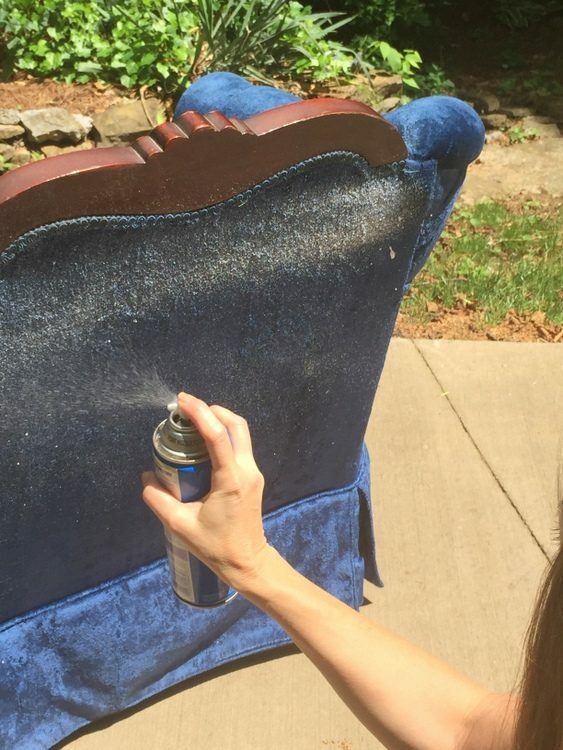 Regardless, I have a routine for cleaning my upholstered treasures that I thought I’d share with you! 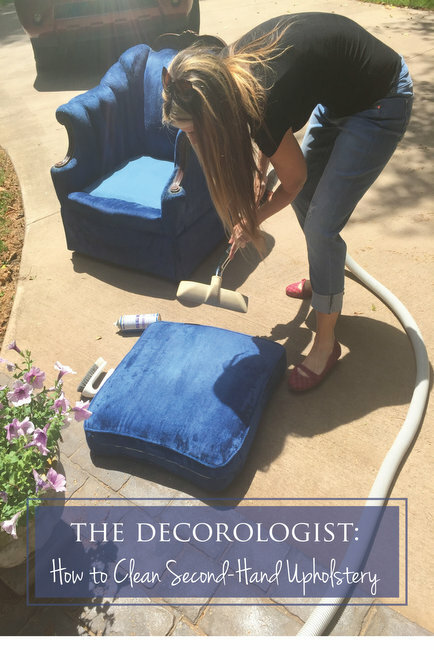 I recently found this big blue velveteen chair that I thought would be perfect for my teenage daughter’s bedroom – we’ve been keeping an eye out for just the right funkiness and color for a bedroom chair for her. yes, I know it looks like Cookie Monster’s chair . . .
1) Let it air out for several hours outside. If it’s a sunny day, that’s all the better because the sun beating down on it does it’s own natural germ-killing. 2) Next, vacuum the entire thing with the brush attachment of my central vac. 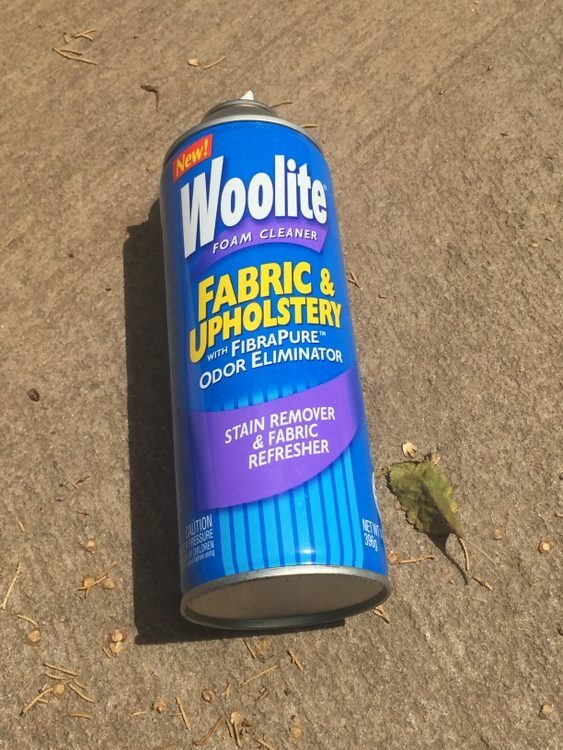 3) After that, spray Woolite Fabric & Upholstery cleaner on the entire thing. I also use this to clean spots or stains on any upholstery in my house, as well as rugs. I just used it last weekend to remove some set-in spots from a recent birthday party where some cake icing was kinda ground into the rug. 4) Stroke a clean, wet rag over the cleaner in the direction of the fabric (turning the rag and rinsing it out occasionally). 5) Use a hard bristle brush to remove dust from any crevices or to scrub anything that looks like it needs scrubbing. 6) Finally, vacuum the entire piece one more time and let it sit outside until it is good and dry. 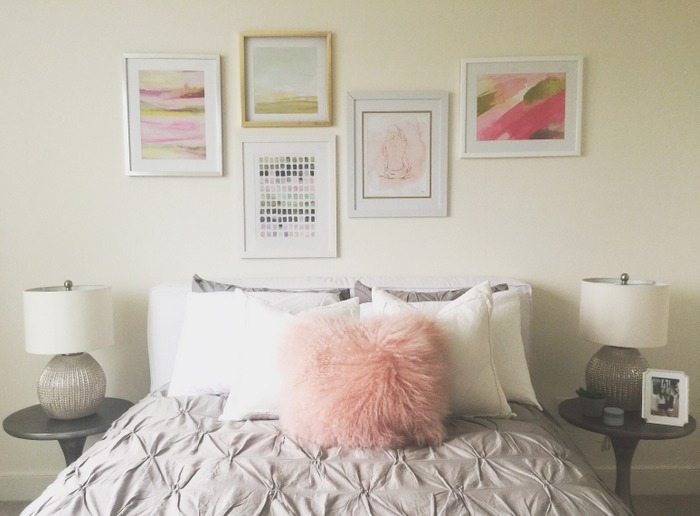 It’s comfy, quirky, and it matches her decor, so we’re all happy! The struggle is real. 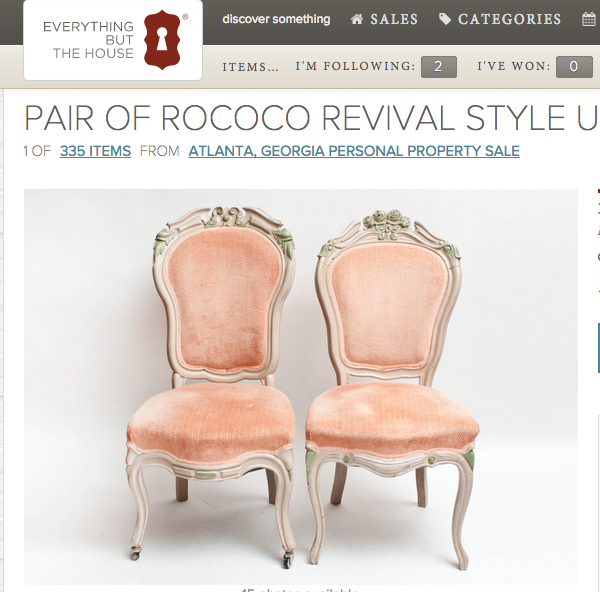 This post is sponsored by EBTH, but the obsession for vintage chairs is my own personal demon. 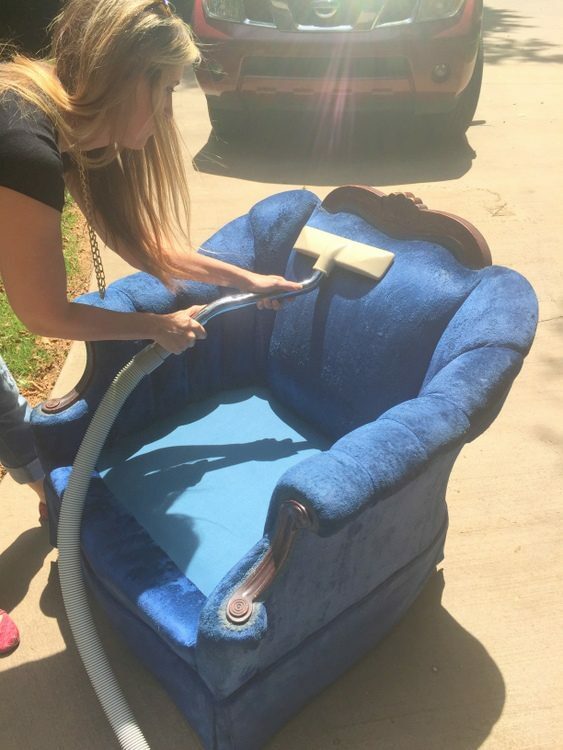 This entry was posted in My Decorology, Sponsored and tagged clean, ebth, estate sales, everything-but-the-house, how to, second-hand, upholstery, vintage. 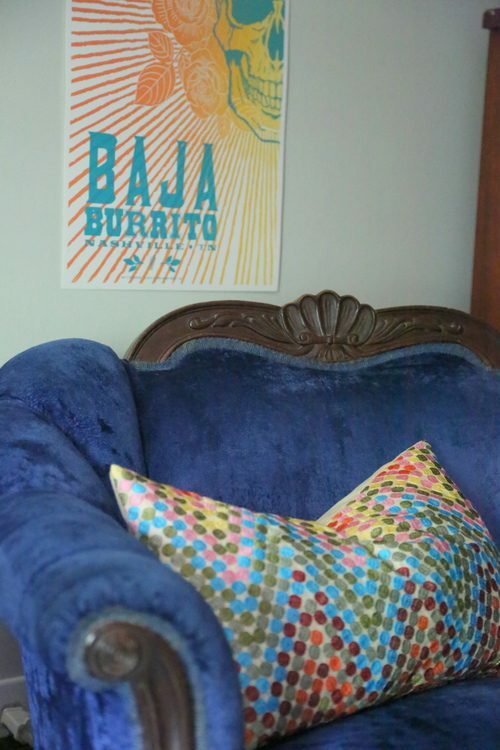 LOVE, LOVE the blue chair! 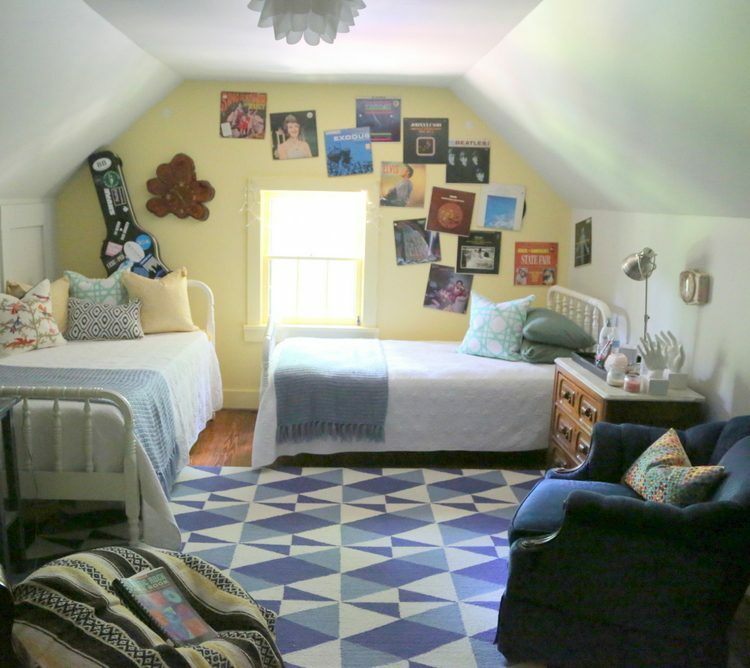 At the very least after a good cleaning…you can always paint it with Annie Sloan chalk paint!! I’m not sure I’d try painting velveteen with chalk paint!!! I have so much trouble getting smells out of my furniture after people wear perfume. It hangs in the air, stays on the upholstery, triggers my migraines….. I will try the Woolite. I hope it really is an odor eliminator, and not just a cover-uperer. Thanks for the tip! Good luck, Teri – and let it air out as long as possible outside! 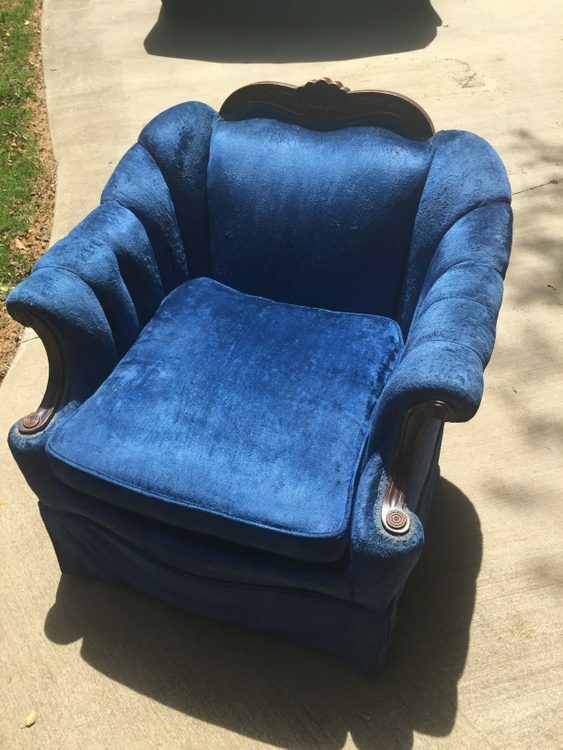 how mush did you offer and pay for the chair at the estate sale? This one was $125 and that’s what I paid. 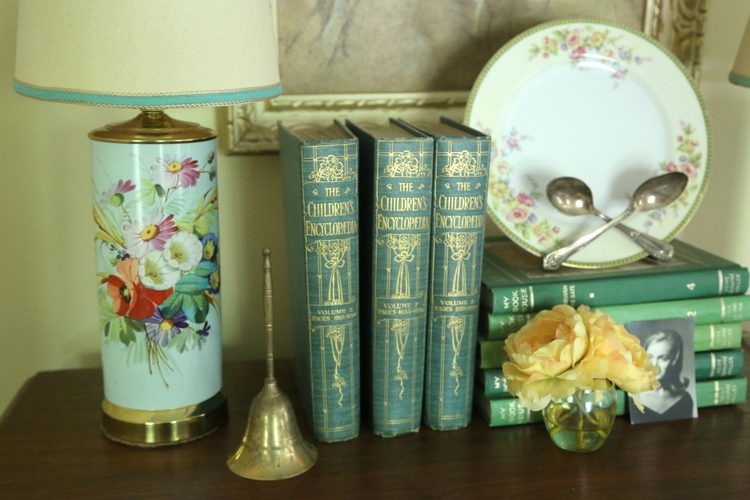 I don’t like to haggle at estate sales – it’s either worth it to me or it’s not! That chair is so like a Walt Disney costume for, say, the Queen Grandmother. If it could dance, it would! I used to have a dresser that had the cutest Disney legs and curvy body and also looked like it maybe would start dancing,LOL. 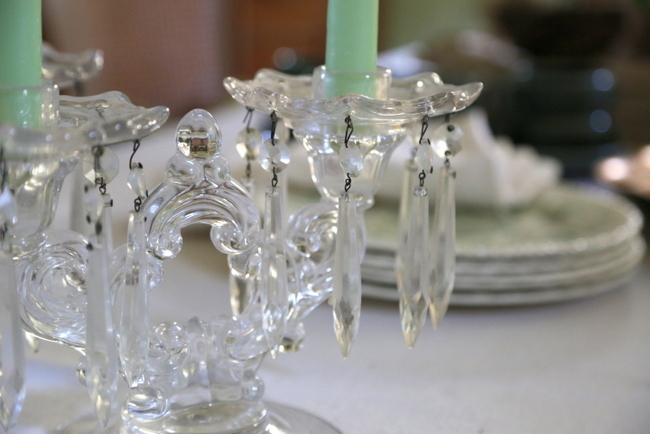 How many chances d we get to use humor in decorating…isn’t it fun when it works?!!! Hope your daughter wants to take it with her for her 1st apartment. I think you just made a memory, Kristie :)….. 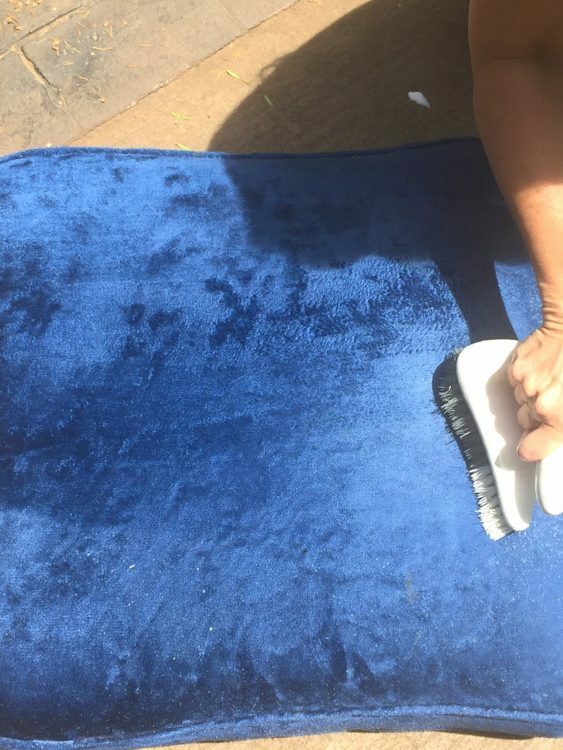 I ‘ve had good luck with white vinegar & water in a spray bottle, then vacuum the icky wet stuff with a shop vac or hand held type carpet cleaner. And like my Grandma always said “Sunshine is a good disinfectant” Let’s not count how many chairs I have either. Thanks for the step-by-step tips. That would make me feel better about getting second-hand upholstery. My son and his wife are about to build a house. They are in love will all the navy and white things that are available right now. We were wondering what color wall paint to use in a home with white cabinets and lots of navy/white things to make the navy/white ‘pop’ ? Any good suggestions? I love this chair, too! Awesome tutorial here! 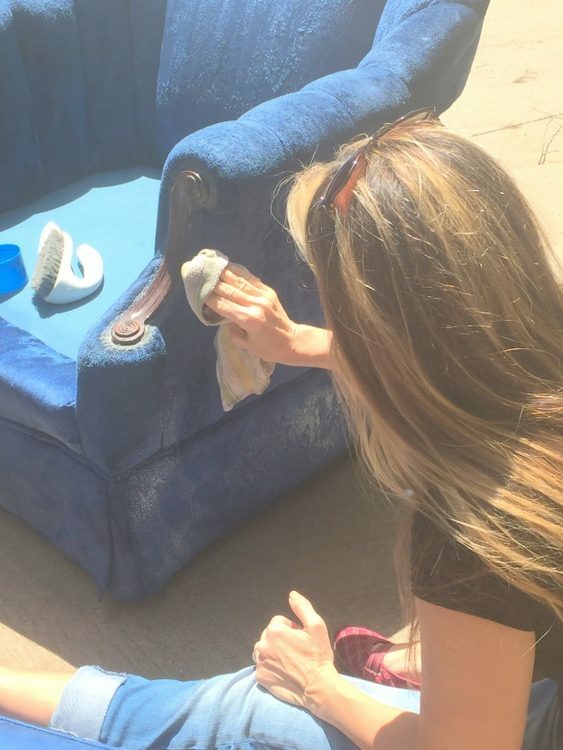 It’s always great finding some used furniture – but you have to make sure it’s clean too. Thanks for sharing this! Ok, just did my first bid on 4 items on EBTH! Feeling a little nervous and excited! Great tips! I’ll use your method next time I find a lovely used upholstered item! I do want to ask how you remove the musty smell from wood furniture? My daughter bought a great old oak chest of drawers, the drawers smell a little musty so I’ve put small boxes of clean cat litter in each and closed up. If that doesn’t work, do you have any other tips you use? Thanks! I’m not sure – but I might try bowls of baking soda and close the drawers for a week, then line them with scented drawer liner? Appreciate the baking soda idea! And definitely the scented drawer liner sounds wonderful even if all of the mustiness is gone. Thanks for that great advice, Ruth! Thank you so much for this tutorial! I just picked this couch up for free (with all the original fabric & cushions), but it’s pretty grundgy after years of use. Now I just get to figure out how to get into all those tufted crevices! My passion is for platform rockers. Sometimes they have hideous upholstery, but the frames are good. My passion started with my father’s “throne” he played on as a child (1922-1997). It was found in the old farmhouse my grandparents purchased. The rocker has a spiral spring mechanism, and dates to 1897. Thank You! I bought a gorgeous vintage pram with red upholstery that is almost a velvet type fabric and its super dusty and smells a bit. I was scared of ruining the fabric trying to clean it but ill try the suggestions you gave! I hope it works, Sabrina! Let me know how it turns out!